It seems that the hope for Robert Jordan's famous novel is on its way. There is a recent information that confirms that the Wheel of Time TV Series got a nod from Sony Pictures Television. Sony will be producing the series together with Red Eagle Entertainment and Radar Pictures. What is Wheel of Time TV Series about? 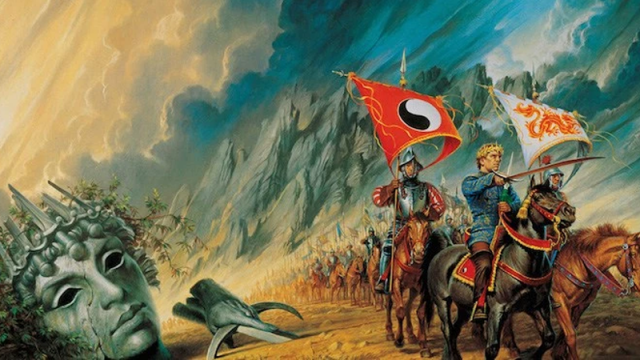 The Wheel of Time TV series will be based on the New York Times Best Selling novel with the same title. This high fantasy novel is written by Robert Jordan, the pen name of the late James O. Rigney Jr.
Wheel of Time is composed of 14 books starting with "The Eye of the World" and concluding with "A Memory of Light." The final novels had to be written by Brandon Sanderson after Jordan’s death in 2007. If the series will indeed be a reality, viewers will follow the quest for the Dragon Reborn. This being is said to help united forces in order to combat a very powerful enemy - The Dark One. I am hoping that this will indeed be a reality, however, the greatest challenge here would be how to bring into the TV screen Jordan's creation. This world is even more complicated than the Lord of the Rings. According to our source, Rafe Judkins will write and executive produce the series. He previously worked with ABC's "Agents of SHIELF," and the Netflix series "Henilock Grove." Red Eagle partners Rick Selvage and Larry Mondragon will executive produce along with Radar’s Ted Field and Mike Weber. Darren Lemke will also executive produce, with Jordan’s widow Harriet McDougal serving as consulting producer. I am hoping that this will indeed be announced soon as one that is in finality. I am sure that Wheel of Time fans like me will love this and even non-fans. I even have a tattoo of the Dragon Reborn. So what do you think of the Wheel of Time TV Series?